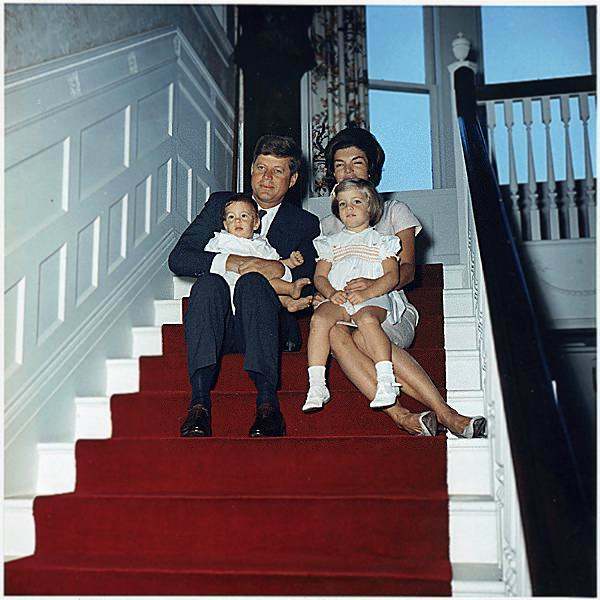 Hammersmith Farm "Summer White House"
President Kennedy, Mrs. Kennedy, John F. Kennedy, Jr., Caroline Kennedy. 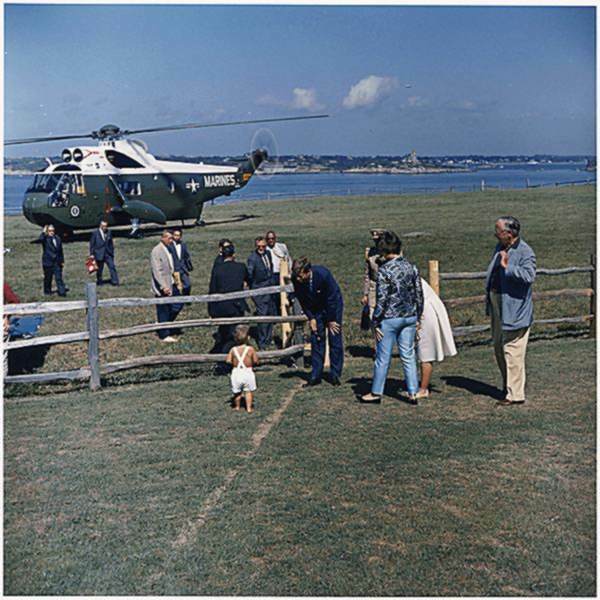 President Vacations at Hammersmith Farm. 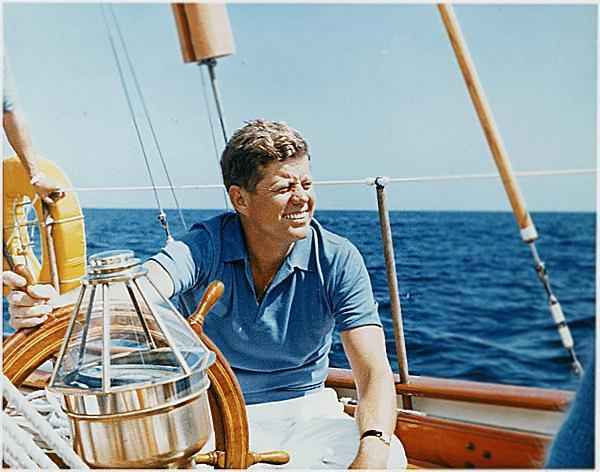 President Kennedy at the wheel of the Coast Guard Yacht "Manitou". 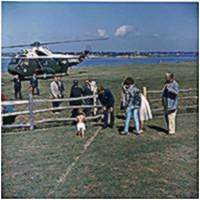 Arrival of President at Hammersmith Farm. 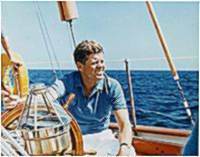 President Kennedy, John F. Kennedy, Jr., Hugh D. Auchincloss, Assistant Press Secretary Andrew Hatcher, aides, others. 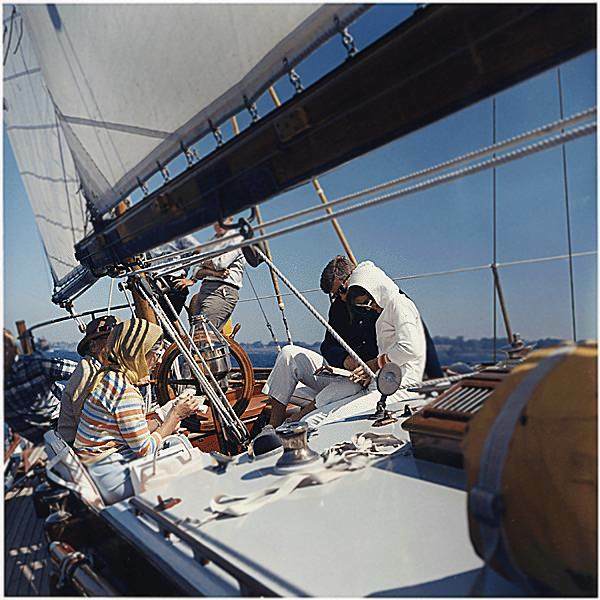 President and First Lady vacation at Hammersmith Farm. 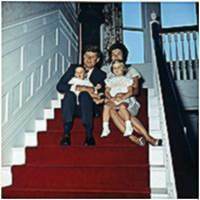 Hugh D. Auchincloss, Mrs. Auchincloss, President Kennedy, Mrs. Kennedy, others. Narragansett Bay, RI, aboard the US Coast Guard Yacht "Manitou".